Bifrost Farms has never carried any dog food or treats made in China, so if you bought jerky treats from us, you don’t have to worry about the mysterious illnesses and deaths being caused by China made jerky dog treats. The FDA is investigating, but so far has not been able to tell which brand it is causing the problems. We’re really happy to announce another new product not just made in the USA, but right here in the Midwest. True Chews is located in Independence, Iowa and has lots of jerky, bully twists and pig ear pieces in a variety of flavors. Our distributor has also heard our pleas so Bifrost Farms can now offer the full line of Burt’s Bees Pet Products. That includes not just the shampoos, but itching lotion and sprays, nose and paw lotion and tear stain remover with Chamomile. As always, if the quality pet food you want isn’t listed on our webpage under the Food and Nutrition tab, ask us. We can probably get it in our next order. Thanks!! 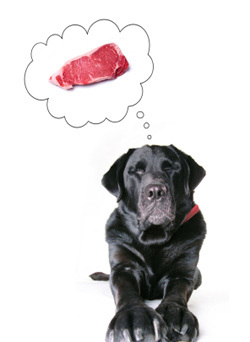 Considering a raw diet for your pet? Now is a good time to start! As I posted on our Facebook page, our pet food distributor is going wild with raw diet options. They just added to new ones, bringing the total name brands of raw food available to me and my customers to seven, plus one low temp cooked diet which looks promising. To celebrate this plethora of raw riches, I will sell any of these foods (in raw form only, except for Nature’s Kitchen), during the month of August, at 25% off regular suggested retail. **Please keep in mind that I do not maintain an inventory and you should call to find out when my order dates are to make sure yors gets in during August. I will be ordering at least twice during this promotion.